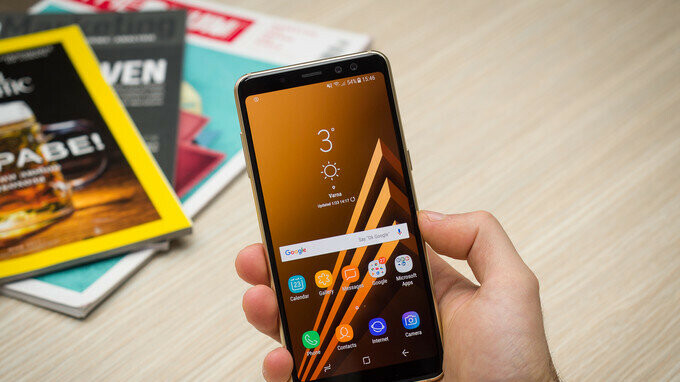 In recent times, Samsung has faced some pretty tough competition from Chinese competitors such as Huawei and Xiaomi in the low and mid-range segments. Because of this, a new report claims Samsung has some pretty big plans for its 2019 Galaxy A series that may see it adopt a variety of premium features before the brand’s flagship smartphones receive them. Aiming to improve upon this year’s releases, certain 2019 Galaxy A devices will reportedly make use of a total of three rear cameras, as expected from the flagship Galaxy S10+, although the setup will not be exactly the same. Rather than utilizing a main sensor alongside telephoto and super wide-angle lenses, Samsung’s Galaxy A devices are expected to make use of one main sensor and a secondary one that will help improve the quality of bokeh images. This will then be coupled with a super wide-angle lens, much like the company’s flagship model. Nevertheless, due to the lower price tag of Samsung’s Galaxy A series, the quality of the images obtained by the cameras isn't expected to match those achieved using the Galaxy S10 line. In addition to the updated camera setup, today’s report also reconfirms recent claims that Samsung may debut new in-display fingerprint scanner tech on its mid-range lineup ahead of the Galaxy S10 launch. However, in the hope of cutting costs, optical scanners are being rumored for the brand’s mid-range devices, replacing the ultrasonic sensors that will be present in the company’s flagship lineup. If Samsung chooses to continue its usual launch timeline, successors to the Galaxy A8 and A8+ (2018) should be expected by the end of December and, considering these are the most expensive models on offer, it seems highly likely that they will ship with the new technology. What does remain unclear at this point, though, is how Samsung will choose to brand them. After all, an updated naming scheme is reportedly in the works. Price it like Nova 3i and Redmi Note 5 so you'll be able to compete with them in mid range segment.